It is my second visit to Krasnogruda, a dot in space on the outskirts of the small community of Sejny, near the Polish-Lithuanian border. 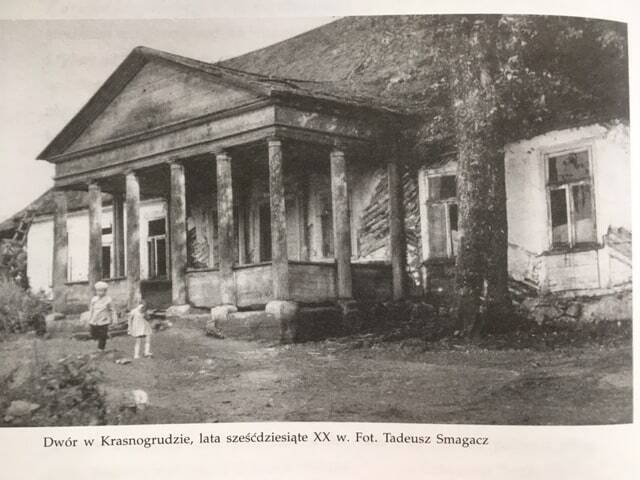 Before the war, this property belonged to the family of Czesław Miłosz, the Nobel prize-winning poet who happily vacationed here as a boy, and returned to visit in 1989. 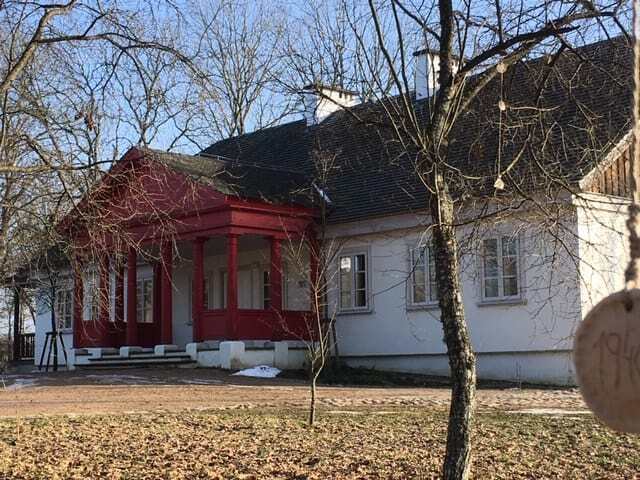 Abandoned for many years, its manor house was brought back to life by the Borderland Foundation and reopened in June 2011, on the 100th anniversary of Miłosz’ birth, to house an International Centre of Dialogue. Together with its Center of Arts, Cultures, and Nations, the Borderland also revitalized the Jewish quarter of Sejny itself, whose Jewish presence was obliterated after Nazis took control in October, 1939. 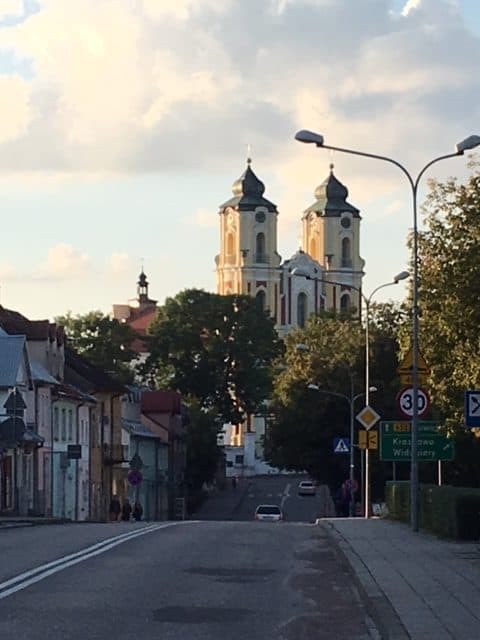 Jews had first settled there in the 17th century, and in the late 18th century, their numbers began increasing until they made up 72% of Sejny’s population in the mid-19th century. A yeshiva was established and a masonry synagogue was erected. Sejny became an important center for Jews in the Haskalah or Enlightenment movement. On my second morning in this quiet place, I awake from within a profound environment of peace. Yet, within hours, I feel desolate and hopeless. Then I notice sparks of anger. I remember once reporting to my Buddhist teacher that I seemed to be at war with myself. The space in Krasnogruda is very large and it is not in my control. Over these past twelve days of my semi-retreat, I’ve listened to recorded teachings on connecting with and beginning to heal our ancestral lineages. I have also engaged with a longstanding practice of mine, derived from the Shambhala tradition, of touching the primordial purity and essence within. It is this practice that has accompanied me and provided strength since my first journey to Poland in 2006. According to the texts and my teacher’s commentaries, this primordial stroke of wakefulness and fearlessness is known in Tibetan as “Ashe. It is further poetically described as “the razor knife of the human heart. “ Perhaps deliberately, it is never fully explained. I cannot help but sense a direct link between this potent essence and the beneficial forces available through ancestral healing. For what is “Ashe”, if not the primordial energy at the heart of every ancestral lineage, and the primordial energy which has been broken or injured in many if not most of us? I cannot help but see a link between the Holocaust and my own disconnection from this primordial energy. Finally from somewhere, there comes a forgiving of myself for my limitations. A sense of a guide comes to me one morning. She is like water with a softly elegant and fluid body. She is happy to meet me. Is she a lineage ancestor? A guardian spirit connected to the land? Or to the lake beside the property? The question brings a soft charge of energy. 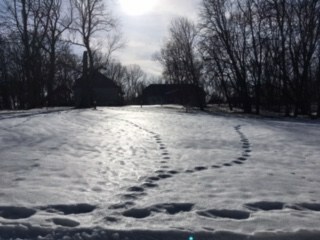 Days pass as spring alternates with the heavy opaqueness of winter. I frequently return to a root teaching on the genuine mind of sadness, which returns me to wholeness and the secret essence of human lineage. For what good is a razor knife if there are no tears to melt what is ready to be shed? Sadness is the inexhaustible lake in which the heart’s capacity for vastness becomes wider and deeper. Despite the caring advice of friends who often think I may need cheering up, I remain loyal to the sadness that touches this living heart, the dot of dots. Everyone has their dot, whether they recognize it or not. Or perhaps to the joy we do not yet feel entitled to. From that tender, insubstantial dot, comes a line – a border, perhaps, that can divide two areas and the people within. Instead of separating, or choosing to construct a solid wall, can a border bring two groups together? What sort of human interaction allows us to learn from each other and share who we really are? A border can become a question. A border can become a bridge. Each broken thing creates a space for healing and reconnection. I believe the Borderland engages with these levels of healing. 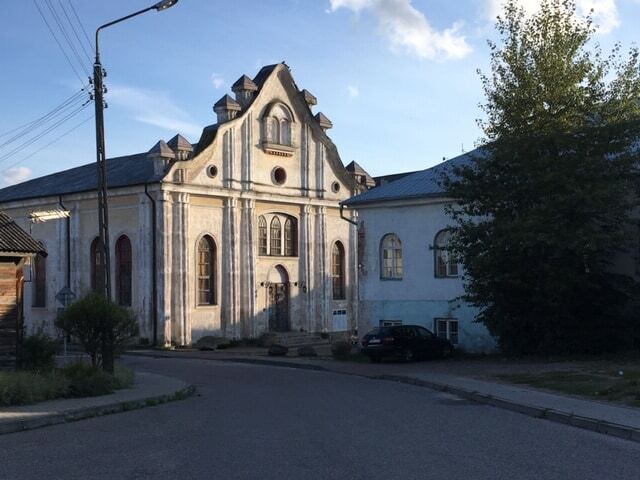 Much of its visible activity is centered in Sejny’s synagogue and the former Hebrew school and yeshiva, which now serve as a gathering place for the community. To educate the community about its multicultural past, they use music, art, and story-telling. 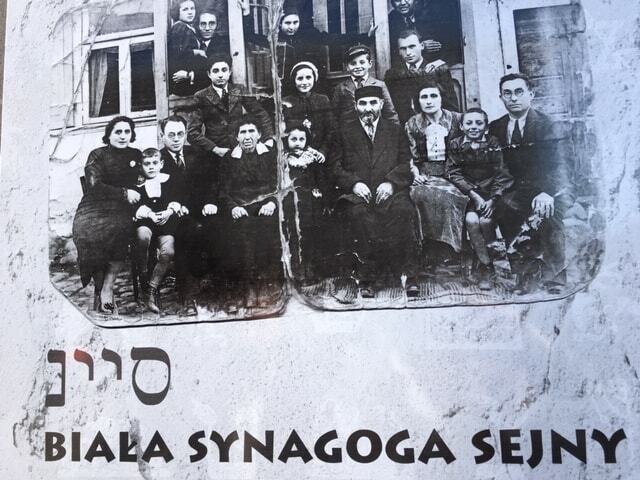 Gathering stories from the locals, they slowly pieced together the traces of Sejny’s Jewish past, and involved school children in multi-generational approaches for reconnecting the local population with the lost limb of its own memory. The human family seems inclusive of all memory, for the lake of memory is mysterious − its ownership not limited by direct experience. Whether intergenerational, cellular, past life, or culturally transmitted, memory is fluid and permeable. She has no master or copyright. Suddenly I sense that the guide I felt must be the lady of the lake. I am loyal to her infinite chamber of vastness. She is mine and I am hers. Her shape provides a natural border that allows one to feel her dot, which is not a barrier, but an expression of her radiation. That which has been separated − and its return − are the human project, magic’s project. A year before my teacher passed away, I asked him for advice about my career path. I wanted to be a healer, but he steered me away. “Perhaps you can go to the United Nations one day,” he offered instead, toward the end of our exploration. I stumble forward, guided by whatever ancestral dot has brought me here, as close to the United Nations as I may ever get, with twelve more days to see what unfolds at the Borderland. With the wish that all beings be happy and at their ease. Comments are welcome!